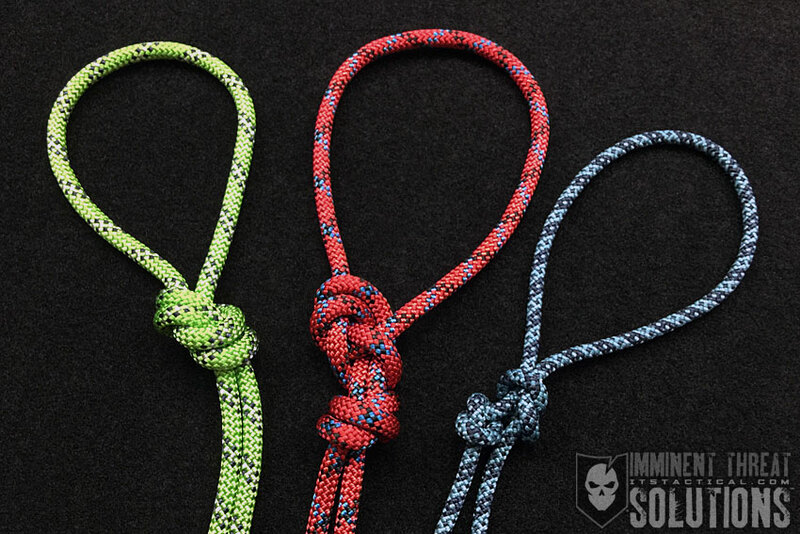 Continuing with Loops on our Knot of the Week series in HD, today I’ll be going over the Handcuff Knot. 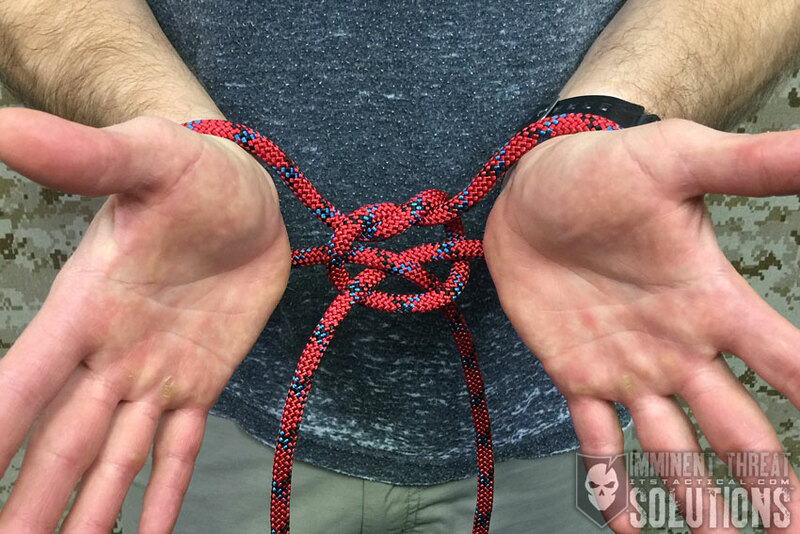 While it can certainly be used for its implied use in restraint, the Handcuff Knot is also an extremely versatile knot. It can also be utilized in a rescue scenario to create a Fireman’s Chair to haul a victim to safety. A caveat is that it’s best tied in webbing to avoid the potential loss of circulation that result by using a smaller diameter rope. (Strength: 4/Security: 4/Stability: 4/Difficulty: 4) See below for what these ratings mean. As mentioned, the Handcuff Knot can be used to restrain someone by the hands or feet, but a security knot is mandatory to “lock” it in. This can be either an Overhand Loop or a Figure-8, just to provide some examples. The Handcuff Knot can also be used to hobble animals, or drag carcasses in hunting. In the video above, I mention more about the option to use the Handcuff Knot for a Fireman’s Chair. This would be done with webbing, utilizing the loops created as leg loops and the victim would hang onto the remaining line to be pulled to safety. 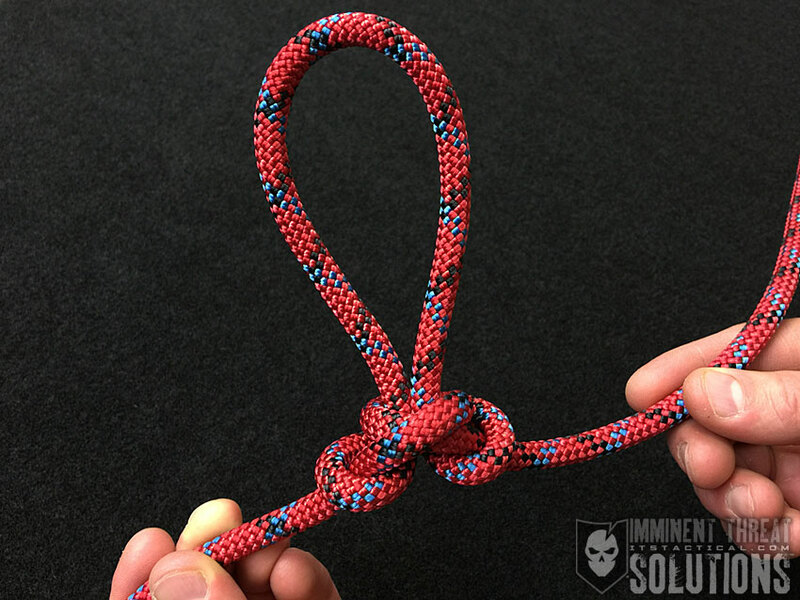 Just be aware that webbing isn’t as forgiving with this knot and once you pull the loops and tighten it down, it’s more difficult to adjust each loop before adding a security knot.